On this page I talk about the two different methods used to increase the power output, and what's good and bad about them. 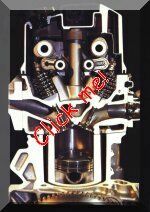 By using a conventional valve system, to keep a modern multi-valve engine usable for the road, you are limited to about 85hp to 90hp per litre. You can use a bigger camshaft quite easily get a lot more power, but only at higher revs, and at the expense of power at lower revs. So, with a bit of lateral thinking, it is now becoming more common to be able to change that very cam timing that limited the engine power while the engine is running. The Toyota VVT system isn't new, however, as similar systems have been in use for many decades before. But not for a mass production engine and certainly not with the highly accurate control of the modern engine management systems. The Honda V-Tec system is a relative new comer, and by using a system of far greater complexity than that used by Toyota, Honda is now making an engine that produces as much power as many of the better racing engines! The VVT-type system has been around and in use by various companies for at least 40 years that I know of. 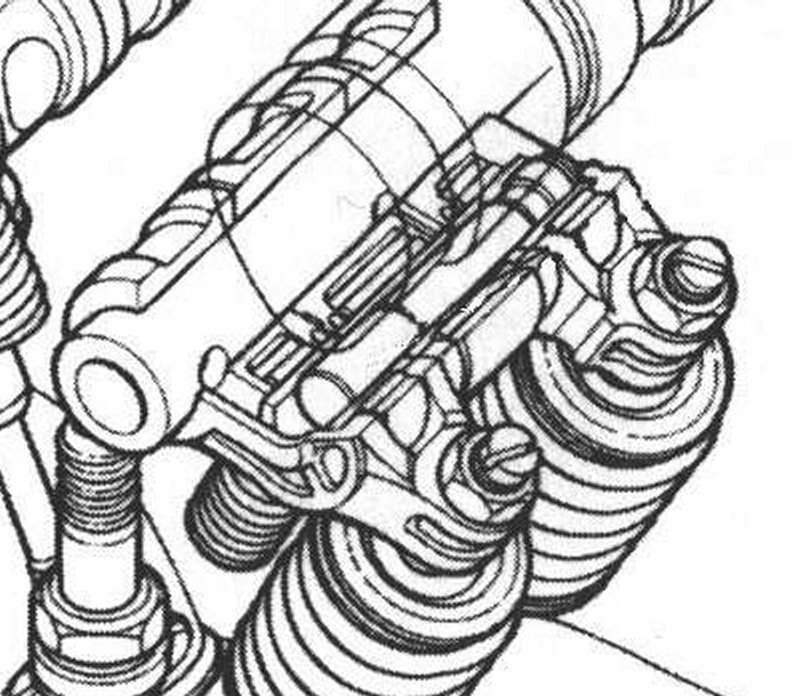 The early VVT system was relatively simple, ie, at a specific rpm (~4400rpm on the 20 valve 4AGE's) the computer signals the OCV to open, this lets oil pressure go through a special gallery in the #1 inlet cam bearing, through the centre of the inlet cam to the VVT pulley. There's a small piston in the VVT pulley, and once it gets enough pressure behind it, it starts to move outwards, causing the outer part of the pulley to turn in relation to the inner part, due to the helical spline that guides the piston's fore & aft movement. The rpm at which this happens is worked out by running the engine on a dynamometer with the inlet cam in both the fully advanced and fully retarded positions. 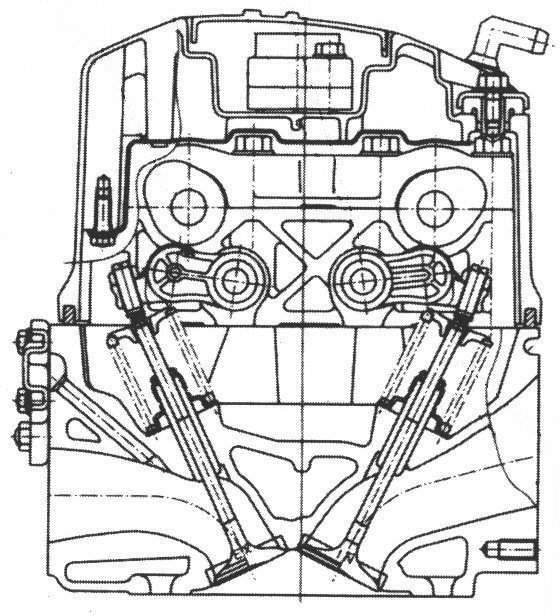 Since the two different cam timing's will make different power throughout the rev range, (advanced inlet give more top end power at the expense of low end power, and vice-versa) there is a point where the power will be identical for both cam settings, and this is where the VVT is programmed to operate. Because the power output is the same with the VVT in either position, you can't feel anything when it happens. You can, however, hear a change in engine note, just before there's a big increase in power! More detail on the the VVT logic - The VVT comes in three types for the 20 valve. To the best of my knowledge, silvertop 20v's pre May 1993 have the VVT actuate at about 4400rpm. Post May 1993 they seem to work on throttle position and ignore revs. 1. Starting. When you crank the starter there will be VVT operation until the engine fires up, obviously to allow more air into the engine to allow an easier fire up. 2. Coolant temp. There is absolutely NO VVT operation when the coolant tempt is below 50°C except for that brief moment when you operate the starter. Reason obvious, who want to stress a cold engine. 3. Engine rpm. VVT will operate in any rpm between the range of 1500 and 7200 when the inlet manifold pressure is right. The min and max range can be a little out because I was reading from the car tacho. Trust me they are very close. 4. Engine load/inlet manifold pressure. This seems to be the single most important parameter controling the system. The VVT will NOT operate if the inlet manifold has more than about 5 inches of vacuum (can't get the exact reading because everything happen so fast. It's very close.). This is very close to zero vacuum which is atmospheric and that is about the maximum load the map sensor will read to tell the engine in an NA car. As you can figure out the throttle will usually be in the more than 3/4 position for this to happen. 5. VVT will work without the speed sensor. Now, back to the above schematic of the VVT. 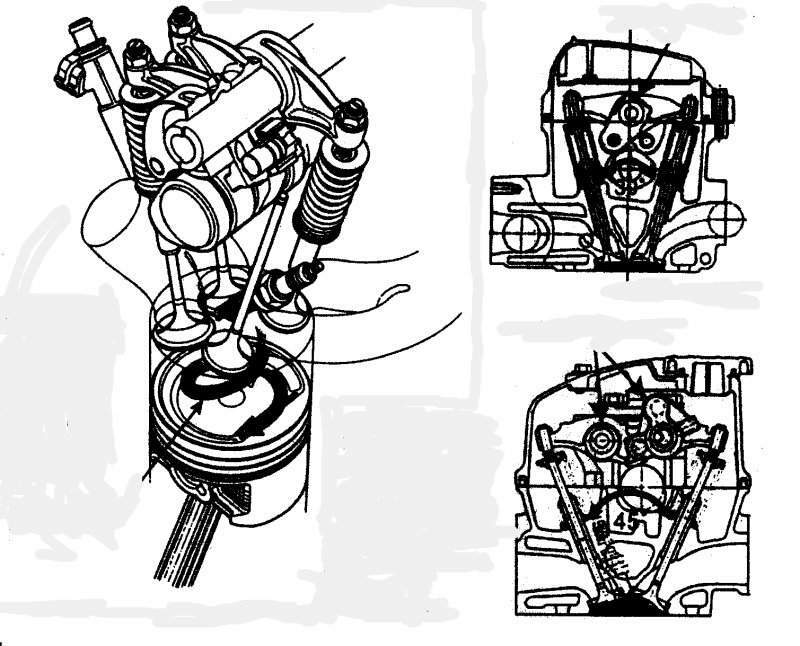 It shows the second evolution of the VVT system - called VVT-i - where instead of the simple 'on' or 'off' positions of the earlier VVT system, this version can make the inlet cam retard/advance to any angle between the maximum limits, and to do this the camshaft has a position sensor on the back of the head. This means that the engine is even more flexible in it's power output than before. The latest version, VVTL-i is described on this page. It's completely different to the original VVT system, and is more like the V-TEC in operation. There are two engines that commonly use the VVTL-i system, the 1ZZ-FE/2ZZ-GE series and the latest (in 1999 & onwards) 3SGE, as used in the sporty Altezza. The early generation 'redtop' four 3SGE's have a single inlet VVT-i and the later 'blacktop' generation four 3SGE's have dual VVT-i controllers, one on the inlet and the other on the exhaust cam, and makes 200hp from 2 litres. So, using VVT technology, it's pretty easy to get around 100hp per litre. Right. Let's not muck around. For straight power output, the V-TEC system craps all over the VVT system. The latest Honda V-TEC engine, as used in the S2000 sports car, makes 240hp odd out of only 2 litres - That's a sparkling 120hp per litre. The V-TEC system is far more complex than the VVT, but it allows you to not only alter the cam timing, but to alter the valve duration and lift at well. It's really like having two engines in one - A 'sedate' one for grocery-getting, and the other a red-blooded high revving screamer. How it does this, however, is with a multitude of 'fiddly bits'. Here's a picture of the valve gear. Ok, pay attention - This is where it starts to get tricky! What happens when the engine computer decides to make the V-TEC shift to 'grunt' mode is this - Up until that point, the valves are operated by the pair of cam followers that run directly on top of each valve. 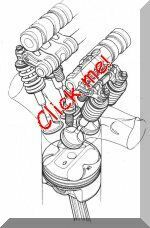 A hydraulic valve opens in the head somewhere, allowing oil pressure to fill the pivot shaft that the cam followers swing off. The oil is then directed to a tiny set of pins that live in the inner follower. These pins push outwards when the valves are shut, locking the inner cam follower to the two outer followers. The inner follower runs on a cam lobe that sits between the outer two, and is much bigger. 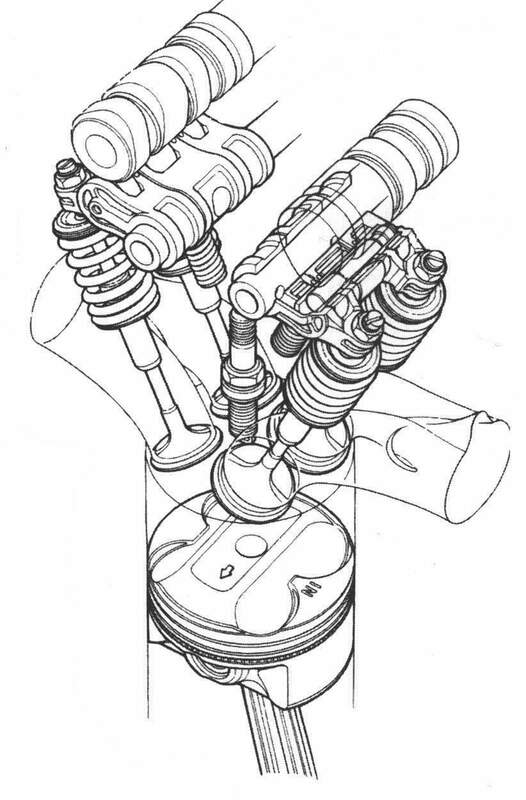 This is the lobe that has the larger duration and lift, and so suddenly allows the engine to breath a lot better. Here's a picture of a head that's been cross-sectioned. If you look very carefully at the right hand cam, you can just see the larger of the two sets of cam lobes hiding behind the smaller ones. Honda have also made a single cam version of the V-TEC, (V-Tir system??) though it only operates on the inlet cam valve timing/duration/lift. 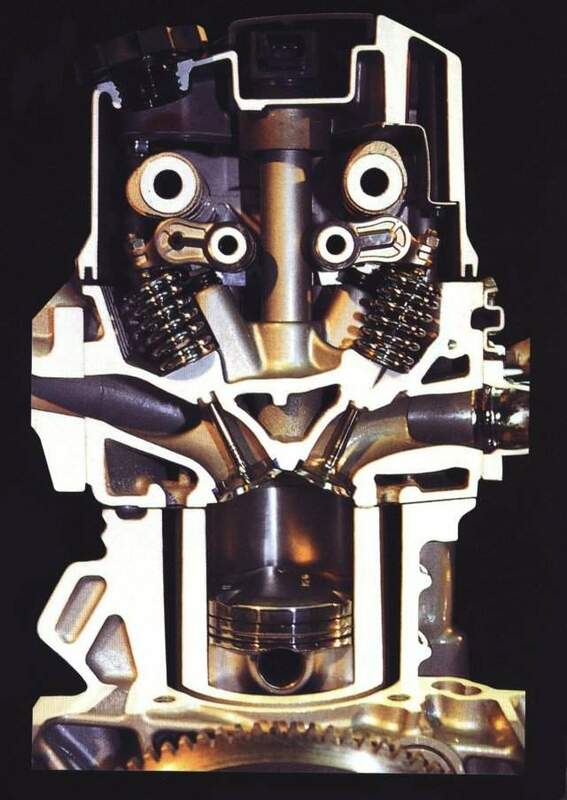 As with the twin cam system, it is quite elegant but has many small parts operating under high loads and speeds. (84kb pic) The point at which the V-TEC system operates is a purely rpm derived point, as was the VVT system, and is done for exactly the same reasons. Because of this, you will not gain anything on a standard engine (either type) by using one of the aftermarket controllers that let you alter the rpm at which the systems operate. All you'll do is create an unpleasant dead spot in the torque curve. 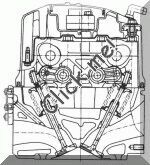 Below is the Nissan version of V-TEC, the VVL system. It's basically exactly the same as V-TEC in design and operation and so I assume is used under licence. 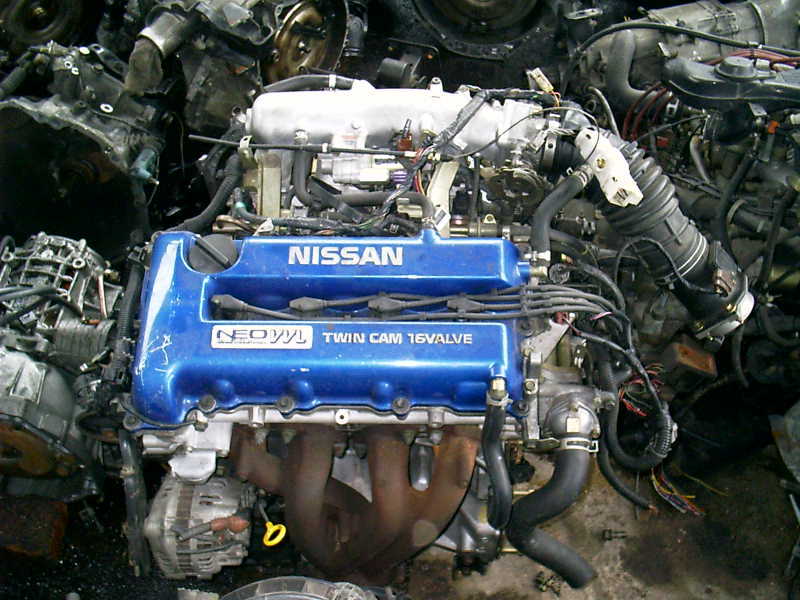 This engine is the SR-16-VVL 'bluetop' and they make about 175hp from the factory. There's a similar N1 version that has a red coloured cam cover and they're reported to make 197hp. There's only suposed to be about 400 bluetops and 80 redtops made, and they were fitted to the faster versions of the Nissan Pulsars in Japan. 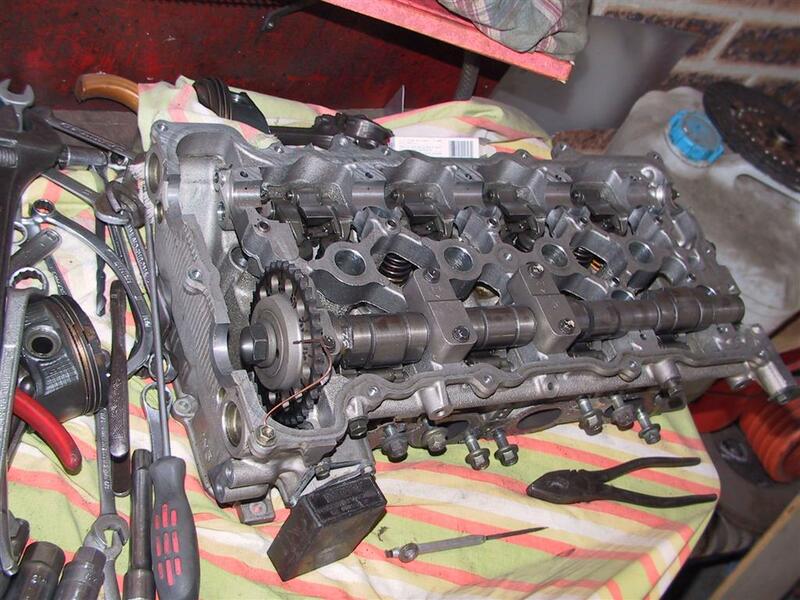 This engine is my own, and it's going into my Mallock racing car. On the right is how it looked when I picked it up in Malaysia. The Toyota engines seem to run slightly more aggressive cams than the Honda's, and so at lower revs they seem to (anecdotal evidence here ...) be a bit more pleasant to drive and make a little more power. There's also less of a transition when the cam shifting systems operate, but this is obvious due to the Honda system swapping over to a much more 'racy' cam profile. I think that the Honda's may seem to be a little 'flat' at lower revs because of this relatively large contrast, but I'd have to drive one and see a dyno chart to make verify this. The other concern I have is the longevity of these sorts of engines. I believe that the VVT system would be largely trouble free for the life of the engine provided that you keep the oil clean and change it regularly. Even more so with the V-TEC, as with all it's little bits & pieces in close formation in the head I'd hate to think what would happen if some of those little locking pins didn't engage properly at 6000rpm+. All that being said though, I have it on reliable advice that Honda have never had a warrantee claim for any V-TEC engine in the area of the head and/or valve gear. Quite impressive. I think that perhaps the best long term solution to getting large amounts of power from a relatively small engine is still by using a turbo, but if you like to hear the engine scream at high revs then one of these two systems is the way to go.